Chris Schlesinger will serve up the paella. The Automatic, on the fringes of Kendall Square, conjures up the Cambridge of old. It’s helmed by Chris Schlesinger, mastermind behind the original East Coast Grill, where generations of Cantabrigians scorched their tongues off with blisteringly spicy barbecue. Dave Cagle comes from the B-Side Lounge, a boozy hangout for locals with a taste for debauchery done right. On Sept. 25, the restaurant welcomes a member of the Newer Guard: Jamie Bissonnette, meat maven behind places like Coppa, Little Donkey, and Toro. 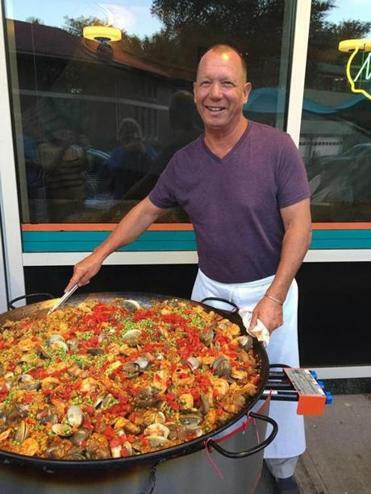 Schlesinger and Bissonnette will compete in a paella cook-off on the restaurant’s patio. Guests can vote on the best version. A $45 ticket includes tapas, paella (of course), and a glass of wine. Schlesinger’s take on the classic Spanish rice-and-saffron dish usually includes clams; the version by Bissonnette — who is known for playing fast and loose with off cuts of meat — remains a mystery.